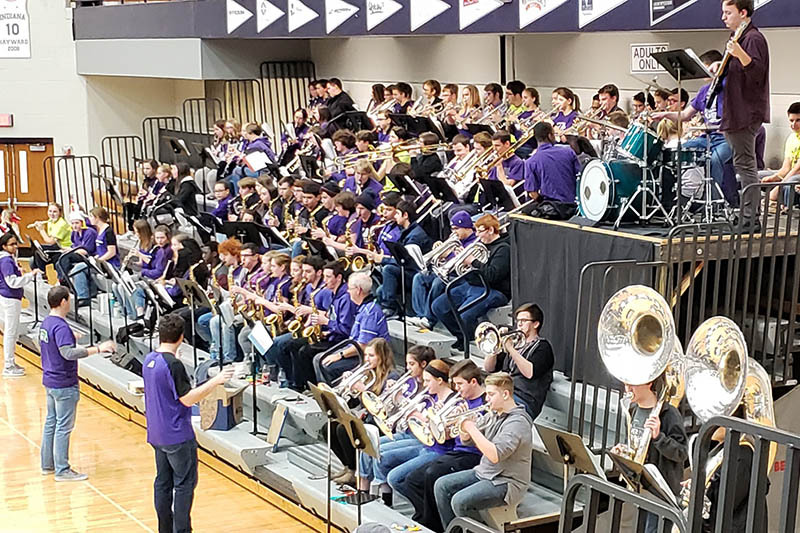 Pep Band is a fun way to keep your music skills razor sharp, get into varsity basketball games for free, and have fun being with your friends… all at the same time. 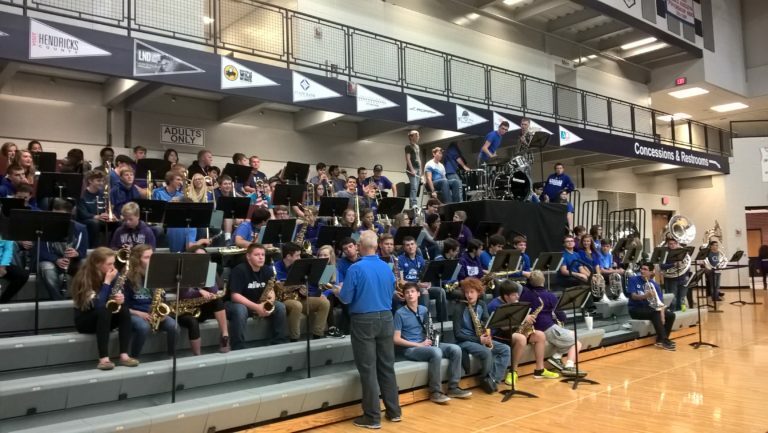 In the winter, when the varsity basketball teams are playing, many band students choose to participate in pep band. This involves going to at least seven games and playing fun, jazzy, popular music to entertain the crowd during breaks and time-outs. *IN ORDER FOR STUDENTS TO RECEIVE THEIR PEP BAND CREDIT THEY MUST HAVE PLAYED AT 7 GAMES!!!!! LISTS ARE POSTED TO CHECK ON MAKEUPS!